I tried and used some database administration tools for MySQL but I feel like something was missing in its features. Recently I started using Navicat for MySQL database management which is really awesome and having many features which can be used to solve and manage your database with a very minimal amount of time. ColdFusion Builder provides a new option for us to set default contents in our newly created CFM and CFC files. Like code snippets this features will be helpful to place some standard code that we normally used in the CFM files like comment code block or HTML code blocks. ColdFusion Builder Beta 3 is now available at Adobe Labs. This release includes many new features and one of my favorite is AIR Application development support. Some of the new features included with this release are as follows. So don't wait to grab your copy. 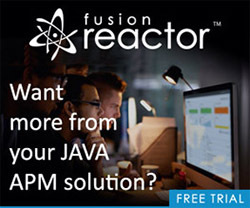 ColdFusion Builder Rocks! Object Relation mapping is one of the key feature in CFWheels. CFWheels makes things easier to start using ORM in your applications. The ORM configuration in CFWheels is implemented by creating a mapping between a database table and ColdFusion component in your application. To demonstrate ORM feature lets create a simple use case that list the available categories in a table with edit and delete links along a with add new category option. ColdFusion on Wheels 1.0 a production ready version hits the web today. To be frank I haven't tried it before and just want to understand its specific features over the other frameworks available for ColdFusion. So I have downloaded and installed it in my system. It's really simple to install CFWheels without worrying about setting any configuration variables that's one of its features as well. So without delay here is the simple 3 steps installation of CFWheels 1.0 framework in Windows with IIS. The wait is over finally we have the Adobe DevSummit at Chennai on coming November 24th with Excellent Sessions by the Adobe Team and Awesome Community Geeks. The registrations are already opened now having only limited seats, so hurry up and grab your gold pass for this Free Full day Event at Chennai Taj Coromandel.